It is no secret that we love Daredevil, Jessica Jones, House of Cards and Narcos. So when we found out that Netflix was going worldwide, we squealed like fangirls at a K-Pop concert. Netflix uses a subscription based payment scheme where a credit card is required. With our IT background we were a little paranoid with our personal banking information leaking so we decided to use Paymaya. You can do this in two ways. Download the Paymaya app via the Google Play store or the Apple Appstore and sign up. After this, Paymaya will generate a virtual credit card that you can use for something like Netflix's credit card requirement. The other way is getting a physical Paymaya credit card and linking it to your Paymaya account. Either way, you have to load it up with any amount at any 7 eleven branches nationwide! Entertainment on-the-go to change the way you look at commuting Filipinos spend an average of 45.5 minutes on the road during the daily commute according to the Global Traffic Index 2015. And as we all know, getting stuck in traffic is stressful. Not only does traffic stress affect our health, it also negatively affects our energy, our quality of work, and the way we treat the people around us. Making time to de-stress is therefore key to living a productive and healthier life. Aside from social media, more forms of entertainment on-the go are now available to us- to help ease stress - Spotify, *Netflix, Steam. Listen to your favorite music without Wi-Fi Spotify is a free music platform that lets you stream your favorite music on your computer, mobile, or tablet. The free version, however, contains occasional advertisements that play in between songs. Spotify offers a Premium service which lets you listen to your favorite High-Definition songs without ads offline. A monthly subscription to Spotify Premium costs only P129 per month, a worthy cost for millions of songs in return. Watch unlimited movies and TV series with Netflix The biggest US Movie and TV streaming service, *Netflix just recently launched worldwide, including the Philippines in January of 2016. The basic package is P370 which already allows users to watch unlimited TV series, movies, documentaries, feature films on any Internet-powered device. Netflix offers the first month free for users who want to try out the service. Now commuters coming home from work can just lie down and relax with popular TV Series like Suits, How to Get Away with Murder, or Sherlock. For those who don’t have big data plans, movies are available for rent or sale on *Google Play Store or the *App Store, which can be downloaded to your device so you can watch your favorite movies and TV series offline after. Read to enjoy the cheapest but most productive way to pass time Reading books is the most inexpensive and most productive way to escape stress while sharpening your mind. Buying e-books in general is cheaper than buying hard copies. *Google Play Store, the *App Store, and Amazon’s Kindle app offer myriad selections to choose from and read. If your eyes are too tired already, you can listen to podcasts as an alternative. The Internet has hundreds of free interesting podcasts that discuss fascinating topics about culture, philosophy, business, technology, history, comedy and more. These ideas can get exciting but they require a credit card before you can try them out (except for podcasts). 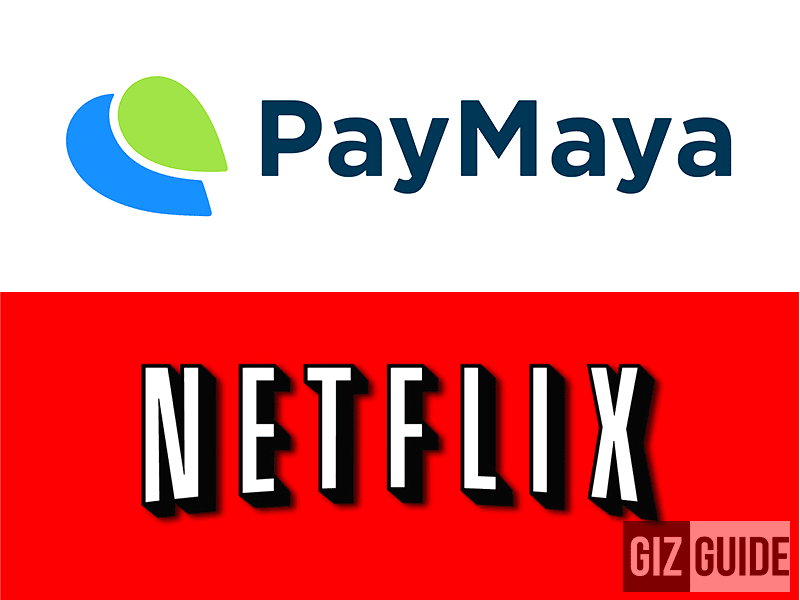 For non-credit cardholders who are interested in subscribing to Spotify, Netflix, or buying items from app stores, an available solution is PayMaya. PayMaya is a free app that allows users to pay online without a credit card. All you have to do is download the app and activate your virtual Visa card on the app to create your personal card number, expiry date, and CVV--all the numbers you need in order to pay online. Users can then load up at 7-eleven Cliqq kiosks, Robinson’s Department Stores, or SM Business Centers, and other PayMaya Load Up Partners before using their PayMaya account. PayMaya is accepted at any online and brick-and-mortar establishment accepting Visa. With entertainment on-the-go, not only daily commutes are less stressful, they can even be the most rewarding part of your day. So what are you guys waiting for? Watch Daredevil Season 2, it is amazing! Paymaya is here to make our lives easier! Narcos, Jessica Jones and House of Cards should also be in your watch list! Keep Calm and Binge on! For more info, visit PayMaya's website now.